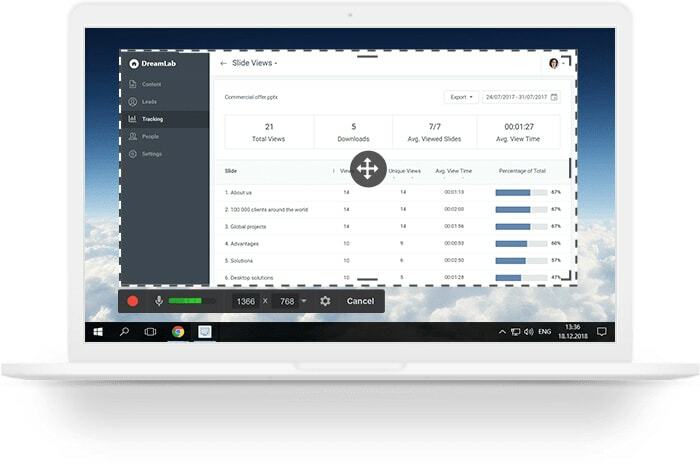 Easily create screencasts, edit recorded videos, and upload to YouTube. No watermark or time limits. Free Cam provides a full set of features for creating professional video lessons and e-Learning presentations. After you record your screen, you easily can cut out unnecessary fragments of the video. If there has been any noise in the background of your voice over, you can easily remove it from the entire clip. You can adjust volume, add fade-in or fade-out effects, or mute sounds in selected parts of the video. Free Cam allows you to save your screencast on your desktop or instantly share it on YouTube. Enter your YouTube account in Free Cam and share your videos with a single click. Your screencast will be a WMV video of HD quality (720p). You can use the video in presentations, email it to your colleagues and students, or post it in social media. Start producing visually engaging materials today. Like Free Cam? Tell your friends!